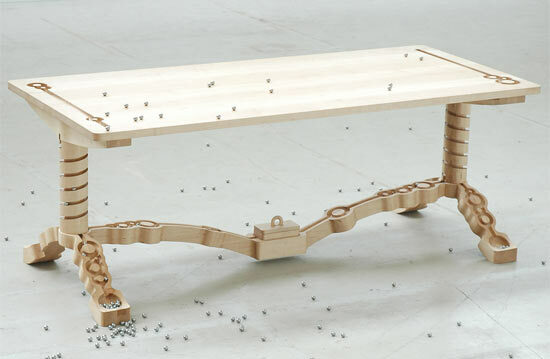 If I had this table by Tineke Beunders I would seriously just sit and stare at it ALL DAY!!!! I would have dinner UNDER the table.... An amazing combination of fun and function!!! and what astounding hand craftsmanship!!! P.S. OH!! !and don't think I wasn"t going to include the VIDEO as well!!! !